As more consumers are using their new EMV credit cards, paying the dinner bill at a restaurant is going to change. 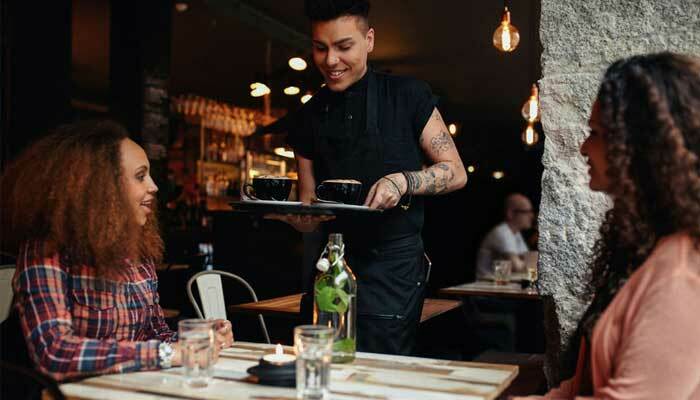 Instabill can help restauranteurs, food service merchants and bar owners adapt to the change with restaurant merchant accounts that come with new EMV-ready point-of-sale (POS) payment solutions. Through a domestic banking partner, Instabill now offers the VX 520 terminal for EMV transactions, a secure stand-alone device that a waitstaff member brings to a customer’s table at the time of checkout. The VX 520 also features near field communication (NFC) functionality for ApplePay and Samsung Pay transactions. A demonstration on how the VX 520 POS solution works can be found here. What will soon fade away is a waiter taking your credit card, swiping, then returning to your table with the bill so that you may add the tip. Because EMV chip-enabled credit cards are more secure, EMV cards are inserted into the point of sale device once, then returned to the cardholder. There is no adjusting the transaction, say, for adding the tip, afterward without voiding the transaction and starting over. How are EMV Credit Cards Safer Than Traditional Magnetic Stripe Cards? As of Oct. 1, 2015, retail merchants in the U.S. were to convert their POS devices enabling them to accommodate EMV chip credit cards (fueling stations have until Oct. 1, 2017). Credit cards with the magnetic stripe (magstripe) are easy for hackers and fraudsters to counterfeit. With an EMV chip-enabled credit card, a unique one-time 16-digit code is created, masking the consumer’s credit card number. The code, unique only to that transaction, is then disposed of. Through our partnerships with domestic, international and offshore banks, Instabill can furnish any retail business with the ideal POS solution. Instabill recent unveiled a POS solution that brings new meaning to the term ‘mobile.’ Through a partnership with POS technology provider Cardflight, Instabill offers a mobile EMV POS solution ideal for restaurants and many retail businesses such as coffee houses, flea markets, kiosks and more. To find out more about our POS solutions, speak one-on-one with a merchant account representative at 1-800-318-2713, or by clicking on the live chat option below.